Have you ever received something that makes you break all the rules? I have always been good especially when it comes to blogging. I am that obsessive picture taking blogger, the one who takes 300 pictures of a new product and refuses to use it before I get the perfect shot. 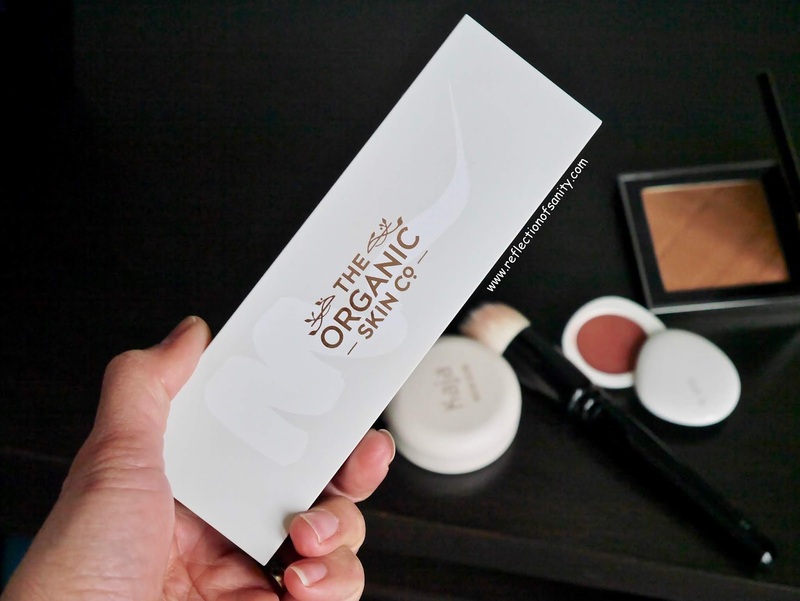 Well, that rule went out the window when as soon as I saw these new The Organic Skin Co. Pressed Eye Shadows. I don't think I've ever plopped myself down that quickly in front of my vanity to do my makeup. 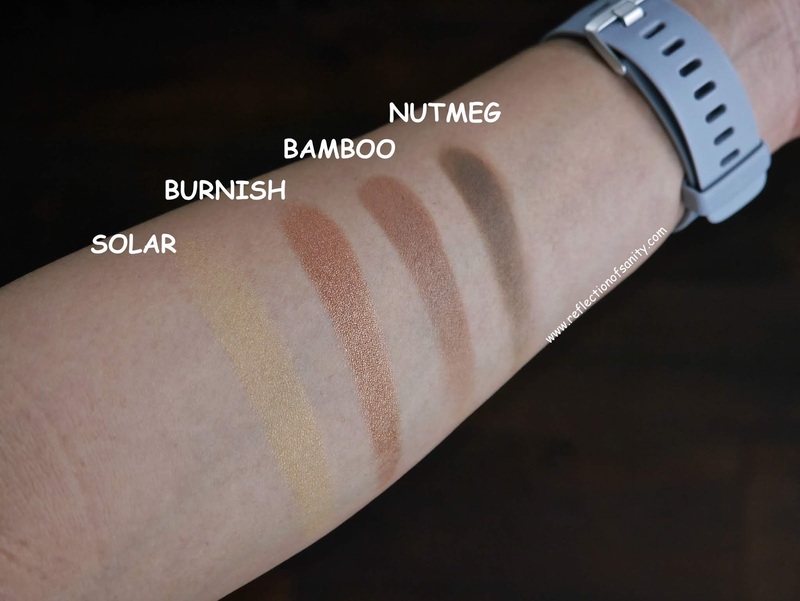 I chose the shade Solar*(soft gold), Burnish* (bronzy champagne), Bamboo* (taupe brown) and Nutmeg* (dark neutral brown) and gosh, they are the perfect neutral everyday palette for me. 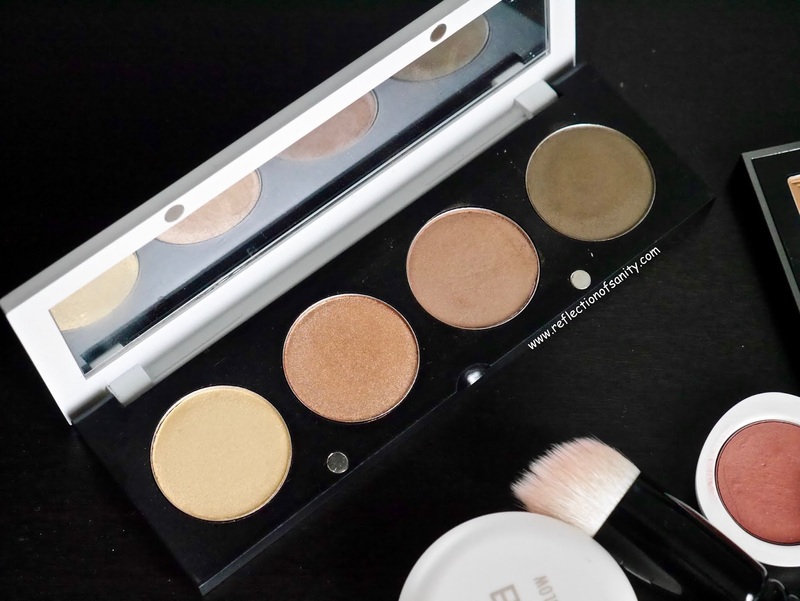 These eyeshadows are rich with castor seed oil, sunflower seed oil, rosemary, pomegranate and calendula extracts. 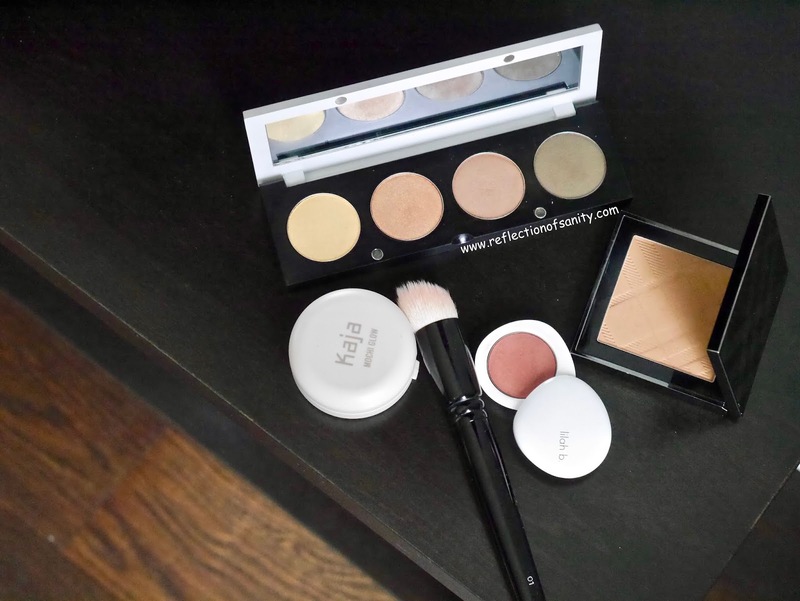 They feel like satin on the eyelids with zero dust-ups and has medium-buildable pigmentation. I do find them to work better with synthetic brushes; I get intense pigmentation while natural hair brushes impart softer colour. These eyeshadows also perform very well with fingers despite the drier texture (hence no kick ups). As I said in my mini-review on Instagram, these eyeshadows lasted well over 10 hours with eye primer which is a remarkable feat by itself. Most eyeshadows will crease and start to fade after 8-9 hours but not these. Is there a downside to these eyeshadows? Yes, the price. They each retail for $31.00 which is quite a hefty price and I do think it will be a major deterrent to many from buying them. Now let me take a moment and gush about the palette itself. It's available for purchase separately (check here) and you get the option of 4 or 8 pans and available in the shade Blush, Charcoal and Stone. I have the 4-Pan Stone palette* which currently is on sale for $14.00. 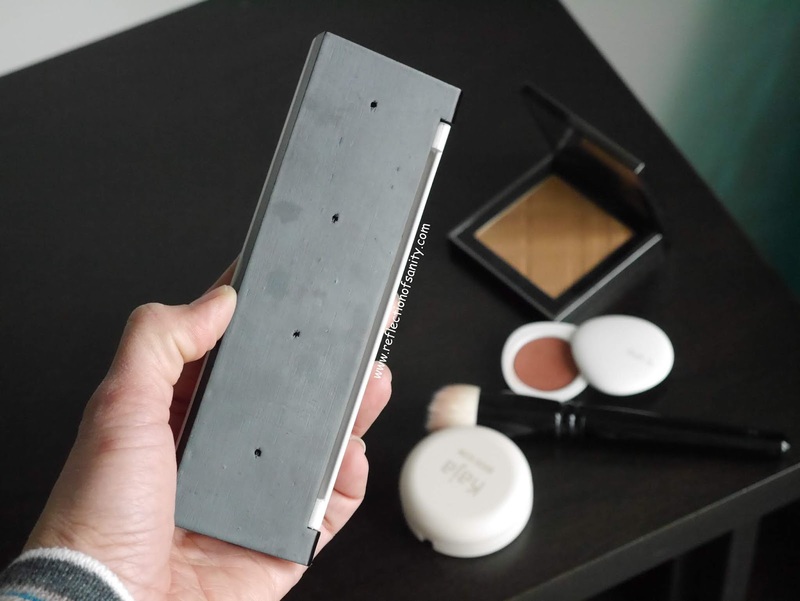 What I adore about this palette is the design; lightweight but very sturdy wood with magnetic closure, a mirror and there are holes at the back so you can easily pop out the pods. It's light like a feather which makes it brilliant for travelling. 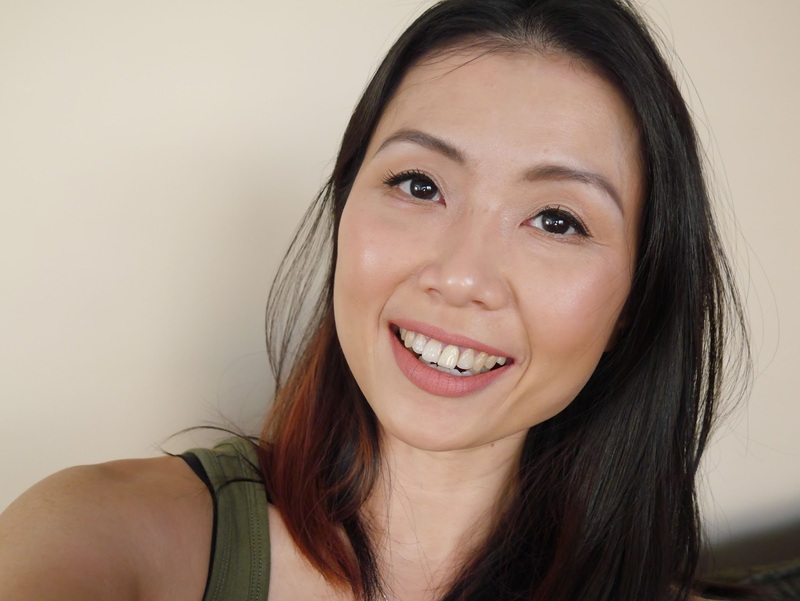 Overall, I am once again impressed and blown away by the amazing quality of The Organic Skin Co.'s products. It's obvious that the owners put a lot of hard work to ensure their customers receive only the best of the best and they have my respect for that. I will be sharing a few more products that I am currently testing (spoiler alert: freaking love them!) in the next few weeks so keep an eye out for that! Get familiar The Organics Skin Co. by visiting their website here. They ship worldwide and you get free shipping for orders US$50 and above and a free pod on all order US$75.00 and above.